Trikonasana or Triangle. One of the most basic standing postures right? Yes, it is a fundamental posture. Is it basic and simple? NO WAY! There is a lot going on in this posture. It's balance, a strong stretch in the hamstring, external rotation in the hips joints, core work, and a spinal twist. 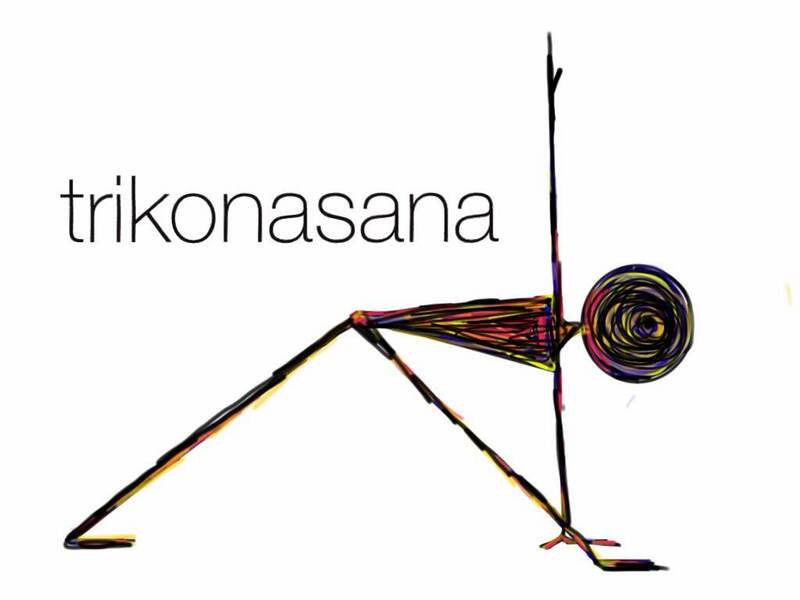 There are many ways to do Trikonasana and it often depends on the style of yoga you're practicing. 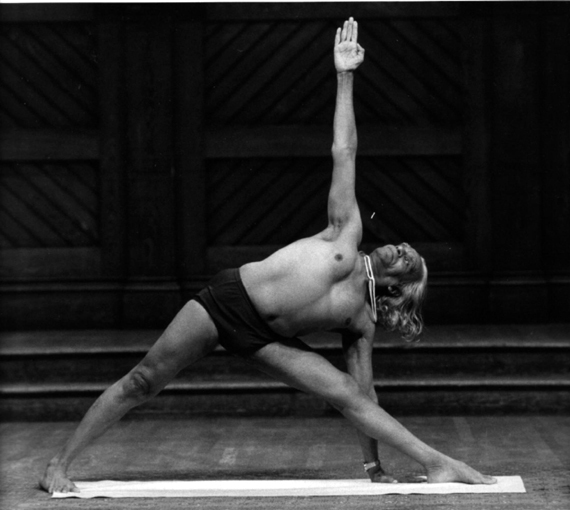 And then you have me...a former Ashtanga devotee who now dabbles in several styles, including Iyengar. I have a short stance here, but am not grabbing my toe because it feels a little forced in my body to do so (sometimes...other days...it's fine...just another example of how yoga is different every time you get on the mat). 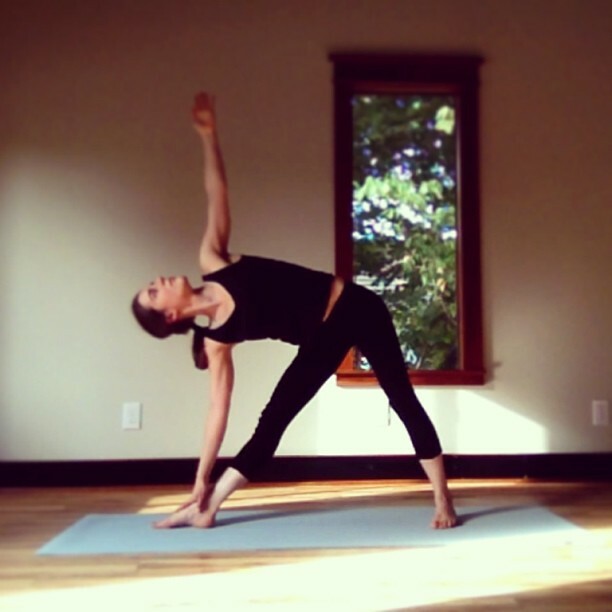 "Triangle is foundational because it utilizes the entire body."